Interestingly, a piece of land between Kitchener and Lorne Streets (across the road from the Art Gallery) was designated as a site for the Town Hall but was rejected. 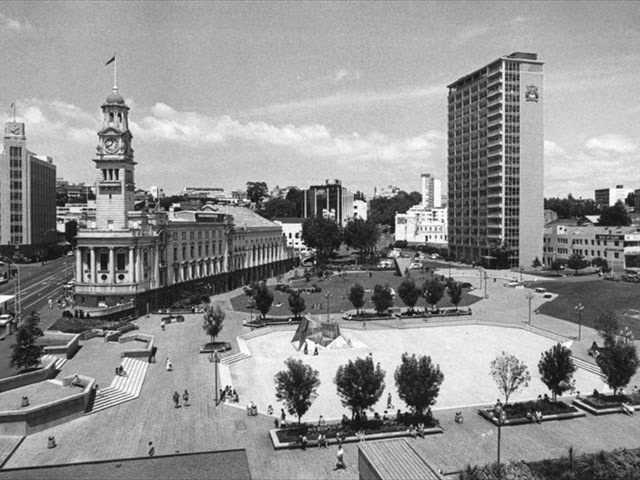 In 1905, the council purchased the current Queen Street site and designs for the new building were welcomed. Forty-six anonymous designs were submitted. 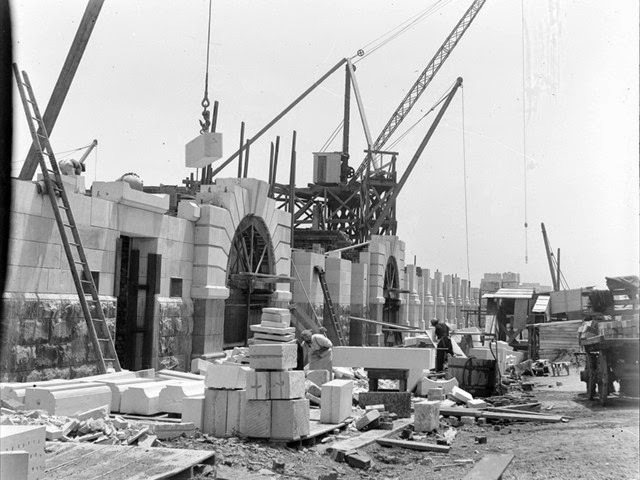 The successful firm was a well-known Australian company, JJ and EJ Clark, designers of the Melbourne Treasury building. 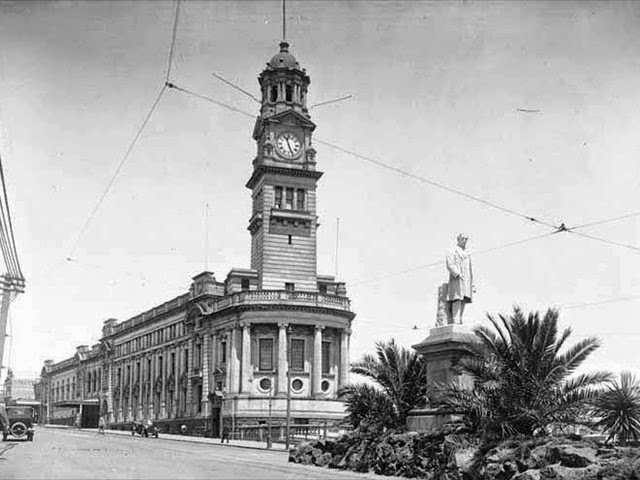 The Town Hall - constructed out of Oamaru limestone and Melbourne bluestone is seen as an example of Italian Classical Revival Architecture. 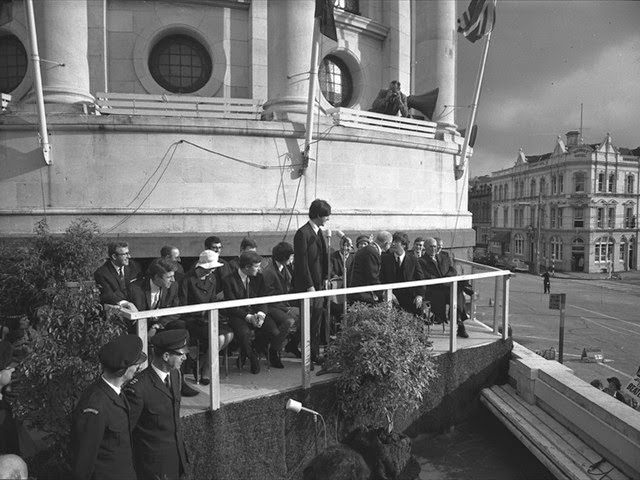 It was opened on 14 December 1911 by New Zealand’s governor, His Excellency Baron Islington. 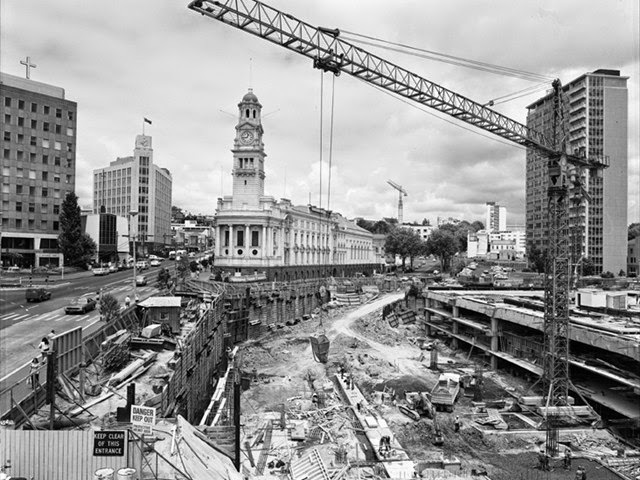 Further reading: Auckland Town Hall: Cultural Significance, Auckland City Council Architectural Division and Ministry of Works, 1998.